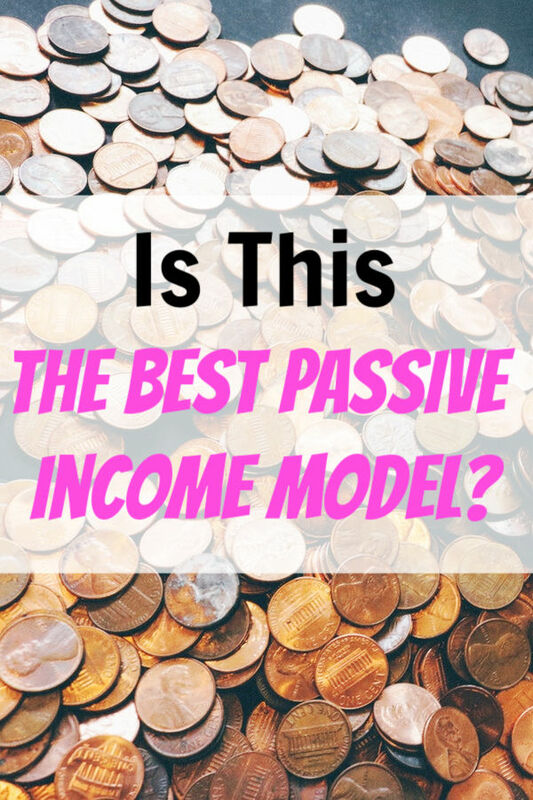 The Best Passive Income Model? 108: The Best Passive Income Model? Note: Click here to download Mark’s top land investing tips and resources. I was very excited to sit down with Mark Podolsky, The Land Geek, to talk about his side-hustle-turned-full-time-biz of investing in raw land. In fact, he was able to replace his day job income and quit his job only 18 months after starting. It’s like nothing we’ve covered on the show before, though somewhat similar to the real estate wholesaling concept last discussed a few months ago with J. Massey. Mark calls it the best passive income model because you don’t have to worry about building a website, building a product, dealing with tenants, dealing with repairs, or selling a service. Naturally I’m pretty skeptical when it comes to this sort of thing, but this a pretty fascinating one. Definitely curious to hear what you think. Viable side hustle or no? Click here to download Mark’s top land investing tips and resources. How Mark and his students earn both quick flip cash and long-term passive cash flow from investing in raw land. How he got started with just a $3000 investment — and quickly turned that into $9000. The criteria he uses to search for properties to make offers on. How to research comparable sales. How to do your due diligence, even if you’re out of state. What to look for in a parcel of land. Where to find buyers for your property. How to structure your sales for either quick cash or long-term passive payments. The risks and pitfalls to avoid. Mark’s #1 tip for Side Hustle Nation. What do you think? Is this a side hustle that sounds interesting to you? UPDATE: A year later, I interviewed two side hustlers who took action after listening to this episode. You can check out those conversations here and here. I’m a relatively new reader/listener that came across your blog while looking for alternatives to my day job. I’ve been listening to your podcasts and some of your guest’s podcasts as often as possible and have been incredibly inspired. I’m halfway through episode 108 and I can’t wait to hear how this raw land gig plays out. Keep up the awesome work! Thanks Steve! Mark definitely opened my eyes in this one. Wouldn’t you have to pay off the back taxes owed to the state and continue to pay taxes until you sell the plot off? That was my thought as well but it sounds like the tax bills are actually pretty low. A lot of the property tax is based on “improvements” (buildings) made to the land so raw land has a low tax rate. From what I understand, the delinquent tax would only be a few hundred dollars. Yes the taxes have to be paid, but if you do seller financing, you pass the taxes on to the buyer, just like a mortgage. I don’t pay taxes until I sell the property, in case I bought a lemon. I will pay them if the county is going to repossess a lot. Thanks Stephen — Agreed; Mark’s site is very sales-oriented at the moment. While I’m confident his material is good, definitely do your on own homework and don’t feel pressured into buying into anything you’re not comfortable with. Keep me posted! I really want to look into this but it seems like it’s easy to Mark because he’s from a real estate investing background. I bet there’s a lot of legal stuff to deal with in these deals. Honestly, its pretty easy. The Investor’s Toolkit covers most of the bases, but like any businesses, you are responsible for all legal issues, so you have to be aware of the laws and restrictions. Do you know if there is any free place to search for these properties? All three of the sites he suggested charge either a monthly fee, or a price for each list in order to access the information. Super interesting interview though. I have always thought about doing some real estate investing in the future because of the high cost to get involved, but this seems like a good way to get into real estate with very little up front cash. Hi Adam — I asked Mark about this and he recommended reaching out to the treasury office of each county individually. I think because it’s a pain, that’s why these other sites/services can charge for information that is typically part of the public record. County treasurer is the best way to go. Some will charge for the records, but often the other sites aren’t up to date. I have a question, if you have done your due diligence and you purchase, how often does the land not sale (or the one owing back taxes doesn’t want it) or no one is interested in financing it? I know there is risk in everything but how often does the buyer get ‘stuck’ with a piece of land that has very little ROI? That has to be my biggest concern upfront. I have a plot that I’ve been stuck with for a couple of months. It cost me $400… so if I can’t sell it, its not a huge loss. Still, I have limited amounts to invest, so the second property I bought (and just sold, read below) I paid $50 for the right to sell it without owning it. On this one, I’m making roughly $18,500 on a $1500 investment. Agreed. I’m only spending an hour doing it. However – my first deal is paying $149/mo for roughly 10 years. Thats where it becomes passive. I loved this episode! I’ve listened to it twice and started listening to Mark’s podcast too. This seems like a fun way to get into real estate investing without having to spend over >100k dollars. I think I’m going to start trying it. Have used the wegolook site Nick mentioned, not to find properties but to get work. I’m trying a multi combo of Uber,Lyft and now we go look. Fills in income whilst I do marketing for my other business. Will try his other mentions to. Did purchase the $7 material to start out but the next level is $900+ so right now I can’t do it but interested. I just wanted to touch base and say thanks for your podcast. Its one of the ones I listen to religiously as it motivates and encourages me. As further evidence that your show is worthwhile: A while back you interviewed Mark Poldowsky, the Land Geek. I listened to that podcast, and it sat in the back of my head for a few months. On vacation, this summer, I talked to my wife about it and we decided to pull the trigger and try it. We’ve been at it for roughly four or five months and just locked down our first sale. I paid $1,000 for an acre in Florida and it has roughly $500 in back taxes to pay. Today I sold it to someone for $20,000 with seller financing. I won’t make $20,000 today, but I will make that over the course of the next 10 years. Again – thank you. We are working to provide a better life for our family and create ways that we can give more. I don’t think I would have found this venture to pursue without your podcast. Are you working with Mark or do you offer your own toolkit? I invested in Mark’s toolkit. I don’t have enough success or time to have my own toolkit. If you want to more, I’m happy to share my experience and knowledge. You can use http://www.syrraxland.com/sell/ to reach me directly (ignore the fact that its meant for sellers). Would you say this was truly passive income for you? It seems like a lot of work. Do you think it was worth the risk of buying and potentially not being able to sell? Nick, would you recommend internet based side hustles over this? Depends on how you define passive, and how you approach the business. Mark’s model involves using virtual assistants for as much as possible. The day to day work is pretty simple and can be mostly automated. Its basically parsing lists of data, generating offers, and doing marketing. Most of that you can outsource. In our case, we chose to do the work ourselves. Until we have enough income to cover the cost of VA’s I don’t mind getting my hands dirty. Most days I put an hour or two into the business. That said – once you make a sale, the income *IS* passive. Our first deal will net us $145/month for 10 years. I shouldn’t have to do almost anything with that client until the term is up, and I have to file paperwork with the county. I have another deal that should close this week which should net us another $150/month for 5 years. A couple of things to mention: we bought one of the properties with cash, the other we sold without buying. At these levels, its not a get rich quick scheme, but we can consistently build this at 2-4 properties per month on the side. If we’re successful at this for 6 months we’ll be making an extra $1800 a month. Most of this work I can do while watching TV too, so it ends up not being taxing or draining the way other side businesses have been for me. Its weird – I didn’t think I would enjoy this. Its something we started doing to pay off debt, and increase our ability to save for our kid’s college. I really like doing this. Buying both of these properties has helped the seller out a ton. Both of them have been incredibly happy for the extra cash. It gives me a sense of accomplishment and the daily goals are pretty simple. I know there is risk in everything but how often does the buyer get ‘stuck’ with a piece of land that has very little ROI? That has to be my biggest concern upfront. Our first purchase was a mistake. Flat out. We failed to due diligence well enough. We’ve had it for at least 8 months, and I’m not spending any effort trying to sell it at this point. It can happen! That said – it was a $390.00 purchase. In the grand scheme of any business, this is a small price for a lesson. We made it up, with interest on our next deal. If you work the system, as its taught, being stuck with a property is pretty unlikely. You’re buying sooo far below market value that usually you can just massively discount it and make 100% or 50%, instead of the target 300%. The property that I bought for $390 is in a market where the average sale is 3 to 5 thousand dollars… Pack in back taxes, and the cost of the property comes out to roughly $1200. I could liquidate at say $1500, cover all of my expense, and make a minor profit. nick, can we still get Mark’s Investor Toolkit – Savings of $500? Let me check w/ Mark and ask! Just copy and paste into your web browser to get the toolkit for only $997 instead of $1497 on my site. Thanks for your interest and I hope to see you on the other side! I didn’t get the land note part? You can make money writing land notes? “Land Notes” refers to a Promissory Note. Its a legally binding loan. Lets say you buy a property. You can sell it a number of different ways, but the two that Mark talks about are Cash and a Note. Cash is simple, the buyer pays you, lets say $6,000 for the property. You sign over the deed. Done. With a Promissory Note, the buyer agrees to pay you $6,000 over a period of time. So instead of getting a lump sum, you get regular payments of, lets say, $150/month. This is great for two reasons. Typically – if I offer a property for $6,000 cash, it will total something like 8-12K when paid in installments. Real estate investing is a good source of passive income. You just have to learn the ropes. Follow the best practices and perform due diligence. Is the $500 discount still available? When I click the link it takes me to the website but it’s with the full price of $1997.00.